The Census Bureau estimates that over 12.7-million people call the state of Pennsylvania “home.” Currently, it ranks in just about in the middle of the road when it comes to overall health statistics in the United States. Pennsylvania moved up a spot to 26th in the 2012 overall “America’s Health Rankings.” A number of factors determine health insurance Pennsylvania premiums. Here are some of the benefits and drawbacks associated with living in Pennsylvania. • The “Keystone State” ranks 14th when it comes to the availability of primary care physicians. • The state has a very low rate of uninsured people as it ranks ninth in the nation. 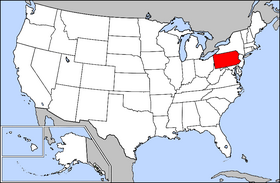 • In terms of geographic disparity, Pennsylvania ranks 10th in the country. • The state’s High School graduation rate is 14th in the U.S.
• Air pollution is a major problem, as the state is 47th in the nation. • Diabetes is another concern, as Pennsylvania is 22nd, although it was ranked in the 40s in 2011. • When it comes to public health funding, Pennsylvania is 41st. • The state is 31st in obesity. • The state lands in the upper 20s in the rankings in binge drinking, violent crime and occupational fatalities. • The state is ranked in the 30s in smoking, obesity, preventable hospitalizations, infant mortality, cardiovascular deaths, cancer deaths, mental health days and physical health days.